• A great source of protein, iron, magnesium, potassium, calcium, and vitamin's E, C, & B-6. • Like this mix? Try our Whole Raw Macadamia Nuts! 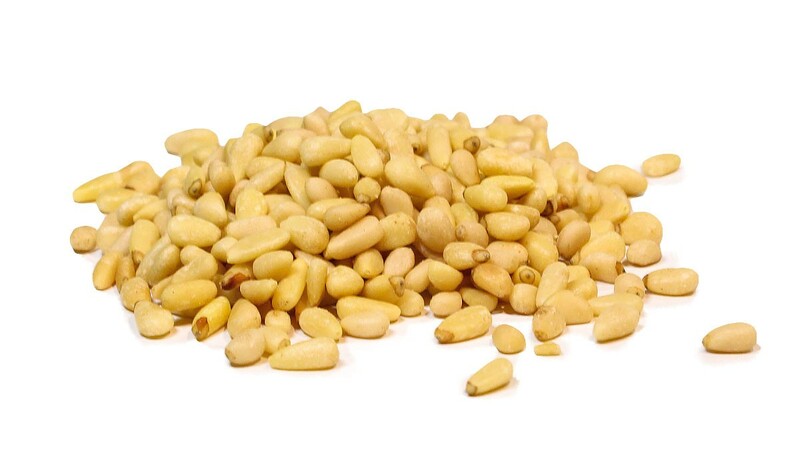 Pine nuts have a hint of buttery sweetness and although they are crunchy, they have a smooth texture when used for sauces like pesto. Pine nuts come from the pine tree, most often they grow wild in the Northern Hemisphere. The flower of a pine tree develops into a pine cone. A female cone can take 2-3 years to reach full maturity. Once the female cone is mature and dry, the cone naturally splits open and releases the seeds that are what we know as the pine nut. 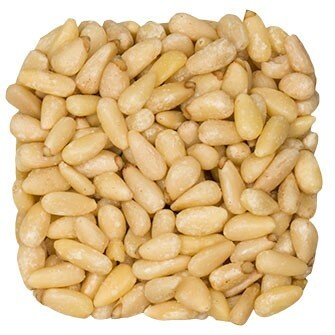 Pine nuts have a sturdy dark brown outer shell with the white kernel inside that we use for consumption. 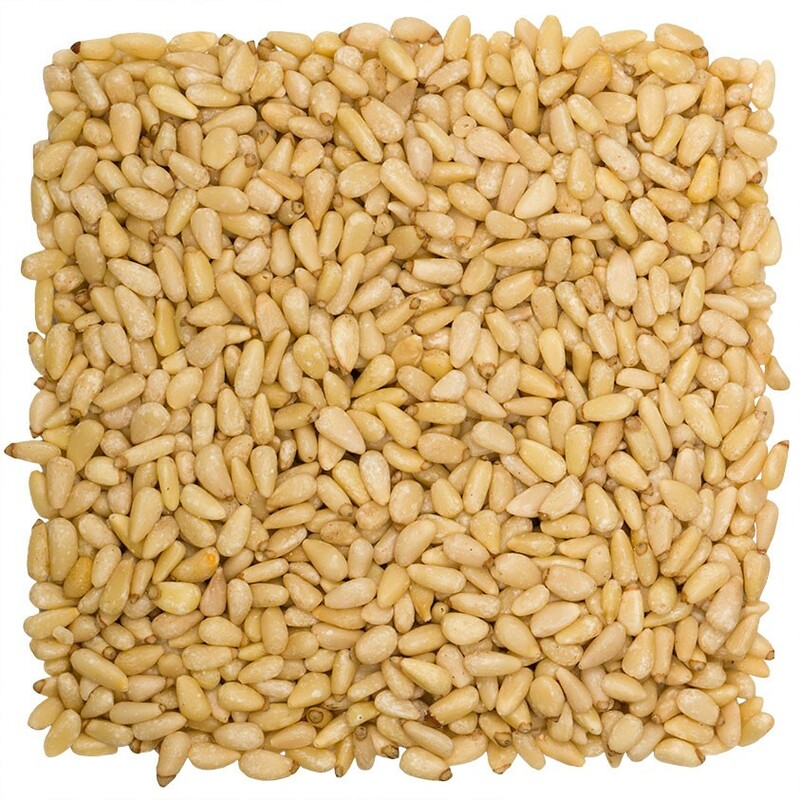 WEIGHT LOSS: Pine nuts contain pinolenic acid that is an essential fatty acid. Recent research shows that it triggers the release of hunger suppressing enzymes called cholecystokinin and glucagon peptide-1 in the gut. They are also high in healthy fats and protein which also helps increase satiety. Pine nuts make a great snack or meal addition and can help with weight loss. HEART HEALTH: Pine nuts are almost 70% of the healthy monosaturated fats like oleic acid. These healthy fats help the body decrease the LDL, otherwise known as bad cholesterol. They also help increase HDL levels, otherwise known as good cholesterol. Research studies site that a Mediterranean Diet, typically high in mono-unsaturated fats, fiber and antioxidants can help improve a healthy blood lipid profile, reducing the risk of heart disease. B-COMPLEX SOURCE: Pine nuts are an excellent source of B Complex vitamins like riboflavin, thiamin, niacin, B-6, floats and pantothenic acid. These vitamins work together as an orchestra for enzymes in cellular substrate metabolism inside the human body. It is these B-complex vitamins that help convert food into fuel, helping us maintain energy throughout the day. These vitamins also help promote healthy skin and hair as well as prevent memory loss. One of the most common uses of pine nuts is to make pesto sauce. Pine nuts are delicious toasted. You can roast them in the oven for a few minutes at 400 degrees on a cookie sheet. Pine nuts are also used in desserts such as cookies and cakes. For optimal freshness, store pine nuts in an airtight plastic bag or sealed container in your refrigerator or freezer. Also known as pignoli nuts, are rich in vitamin C, D and E, Pine nuts are great immunity boosters and help build stronger bones! Pine nuts are a great way to add some iron and antioxidants to your daily meals or snacks.